Growing up, we were encouraged to eat three square meals a day with the exception of an after-school snack. On the best days, our blue Volvo station wagon, filled with neighborhood friends and Pom at the wheel, would stop at Madison Park Bakery for glazed buttermilk donuts from the big, glass case or at Leschi Mart for bagels from the domed, plastic platter that sat on top of the butcher counter in the back. I think my love for snacks has only swelled since then. Snacks, quite simply, make me happy. Granted, my preferences have changed and my afternoons filled with bagels and donuts are few and far between. But, ply me with Quicos (those freakishly large and addicting corn nuts), pumpkin seeds, salt and vinegar potato chips, or dried mangoes, and I’m snackered (that’s a brand new word meaning: full of favorite snacks). 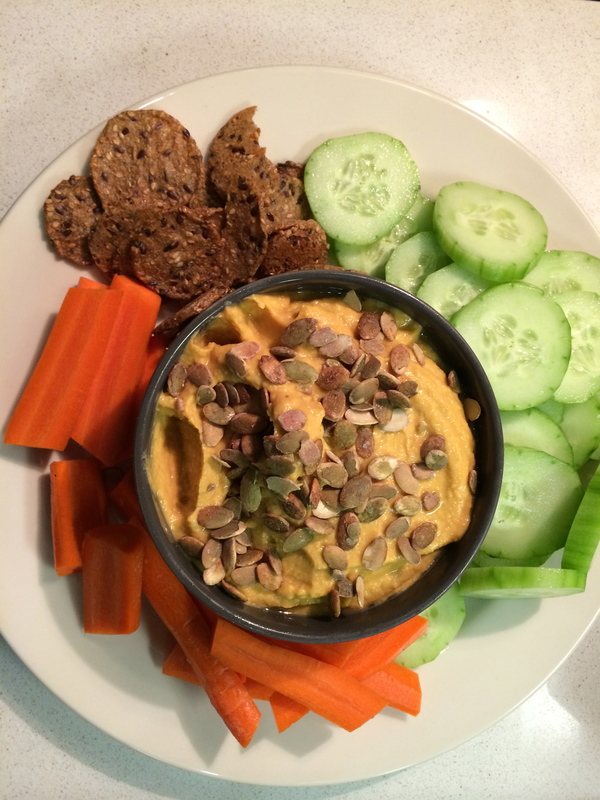 This spicy sweet potato hummus is a welcomed new addition, fitting snuggly into the savory snackered category. The recipe gets bonus points for being remarkably quick to make and all kinds of healthy: vegan, dairy-free, gluten-free, soy-free, and flavor-full. Now go ahead and get snackered. 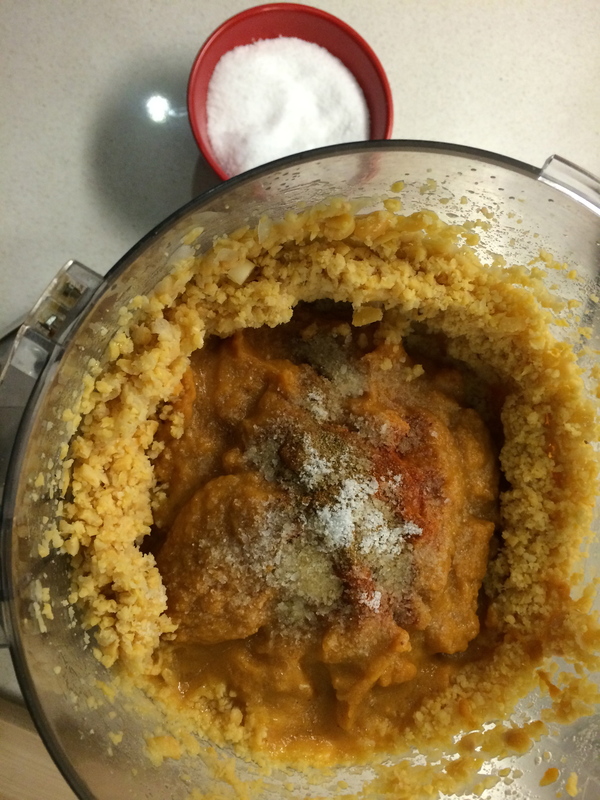 Toss chickpeas in the food processor and pulse. Add remaining ingredients and puree until smooth; thin with water if necessary. Season with salt and pepper and top with a sprinkle of toasted pumpkin seeds or a dusting of paprika. Serve with your favorite veggies and crackers, dollop into a big bowl of grains, or thin a scoop or two with water and use for salad dressing. Will keep up to one week in the refrigerator. I’m making this tomorrow! 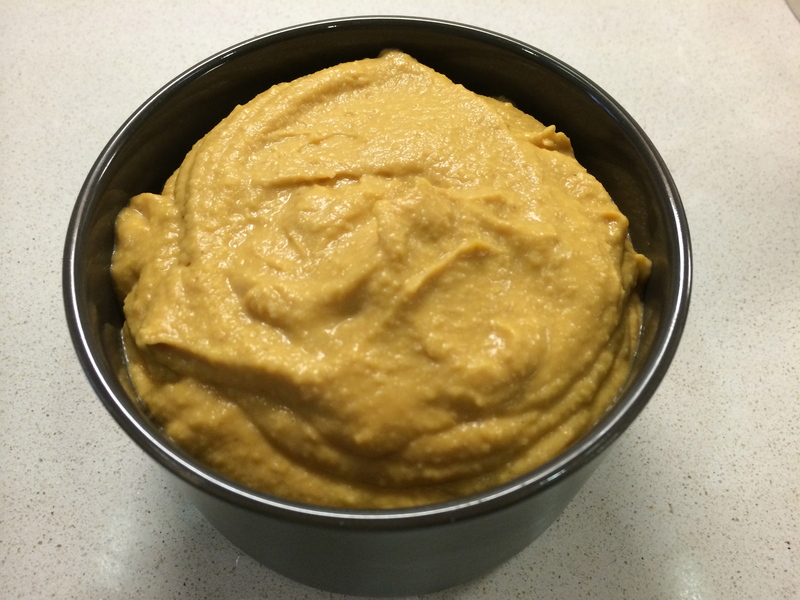 Canned sweet potato puree? Never heard of it. If I can’t find it, I’ll make my own. Yum.